Safe House, by David Winter. Thrush Press. $10.00, paper. Poet David Winter’s debut collection, Safe House is a svelte but fierce chapbook. The compilation’s title is honored throughout the text by the themes of misplaced intimacy, desire, and imprisonment. Winter creates a collection of poems that function as individual spaces of shelter or safety. Some prove to be faulty and some are ethereal. Past work of the poet’s has been published in The Atlanta Review, Four War Review, and The Nervous Breakdown. Winter is a true advocate for poetry and has led creative writing workshops in LGBT senior centers, public high schools, and county jails. He is currently an MFA student in Creative Writing at The Ohio State University and an associate poetry editor for The Journal, the award-winning OSU literary publication. at the dojo, a schizophrenic client’s final episode. the barstool I rest on, or my open, listening ear. The man who has come home. Here, Winter showcases his talent for deciphering the infidelity of a moment: a prisoner released back to his family, reflecting upon the safety or home he felt in custody. He is greeted by his mother and love but his heart belongs to another space—the anti-place or his safe house. Here we see a theme of the collection illuminated: the availability of love, the giving of it to something or someone displaced. decorated by blossoms of snow. The gray lip of town …. Here, Winter showcases his ability to breathe into his work and ignite a flame within his Safe House. to return to work, he nearly left the family. Winter returns to his thematic evidence that love is often extracted from traditional spaces and illuminated by “un-place.” The poet’s devotion to Serafino continues in the piece “Luciano Serafino’s Lover” as the speaker recalls his affair with the man and his ability to make him anew again. There is a cyclical quality to Winter’s collection. 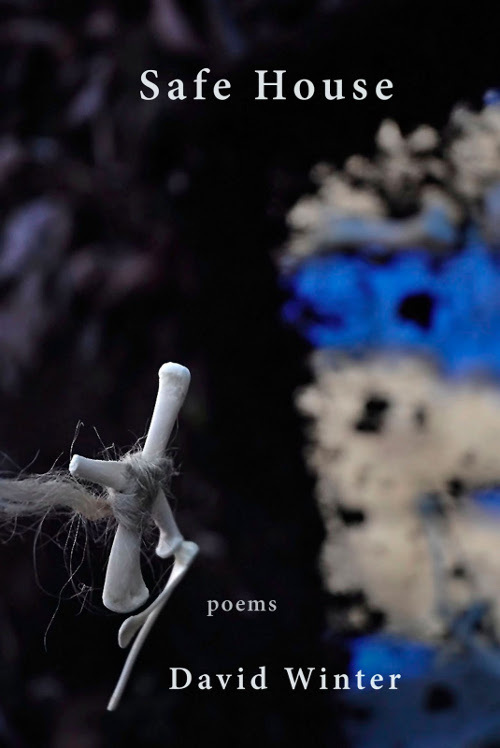 One in which his poems disintegrate and reform or present themselves and unravel. Perhaps the presence of Serafino in Winter’s debut will be expanded in his future collections. I wanted to find him in more places—waiting in the wings of poems about longing like, “What Vanishes,” “Genesis 22:2,” and “Laments With Cello Accompaniment.” Perhaps he was there, hiding. Perhaps I just could not see him. Safe House at Thrush Press. Emily Rose Larsen is pursuing an MFA in Poetry at San Diego State University. Her work has appeared in decomP, The Scrambler, Obsession Lit Mag, and others as well as in the 2012 Saul Williams anthology, CHORUS: A Literary Mixtape. You can find her on Twitter @emroselarse.